Michelle Nielsen graduated from the University of Massachusetts in 2007 with a Bachelor’s Degree in Chemistry. Her passion for health and wellness led her to Long Island University where she earned her Doctorate of Physical Therapy. She began her career working at an outpatient spine and wellness physical therapy clinic where she gained valuable clinical experience treating patients and managing patient care. 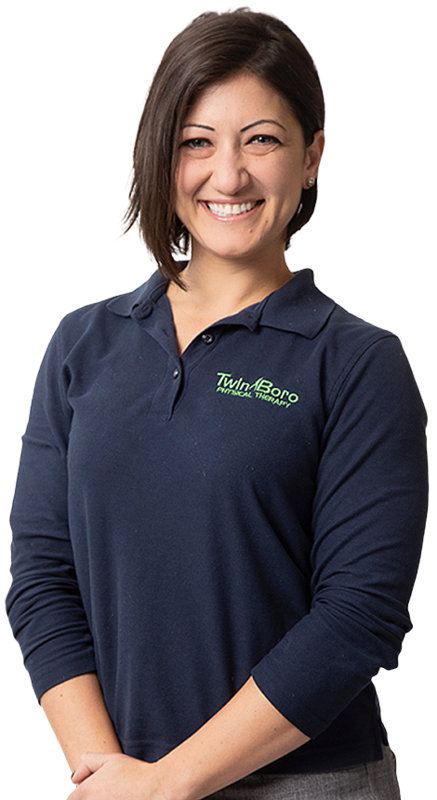 Michelle then joined Twin Boro in 2017 and has practiced in several of Twin Boro facilities advancing to become the Clinical Director of the Bridgewater location. Michelle is trained in numerous evidence-based manual interventions, combined with her experience in yoga, weight training, and Pilates, she applies her knowledge to create individualized treatment plans to address physiological impairments as well as activity limitations. 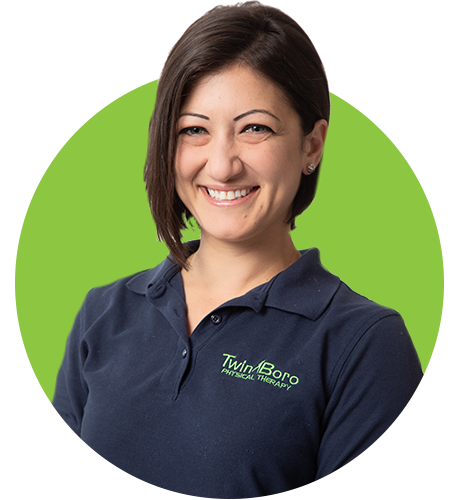 When treating patients, Michelle implements Twin Boro’s One2FourTM Care Model. This unique approach addresses the entire continuum of care for the patient and assists in patient education as well as treatment planning. This ranges from a relatively low level of function a patient might experience post injury or surgery all the way through to the peak performance required to return to their prior or preferred level of function. In her spare time, Michelle compliments her workouts and yoga with a horseback ride through the countryside.